Where is the Power Button? Please Note: There is no power button for HuddleFly, but rather a hard-reset button (factory reset) when pressed for 5 seconds. A hard reset, resets HuddleFly to original factory setting. This is useful to restore the device to reconfigure again. To power recycle HuddleFly, you can simply pull the power cable or use your electrical outlet. What is a Master Device? 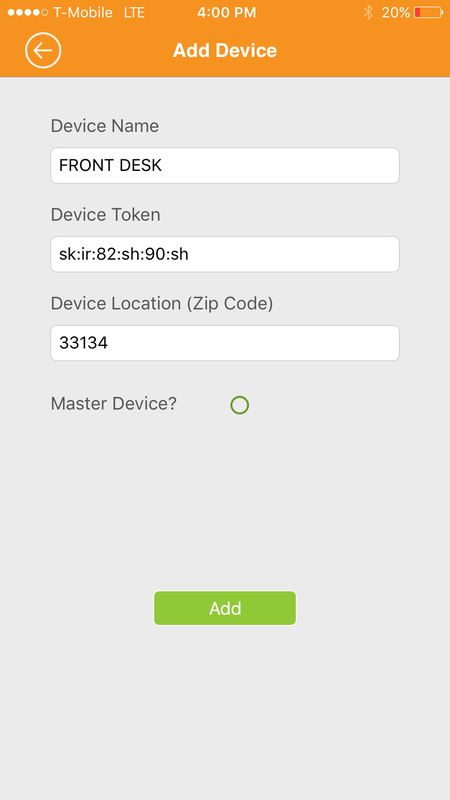 HuddleFly platform has the ability to tag a Master Device so other devices within the same account can clone/follow content! This is a paid subscription. 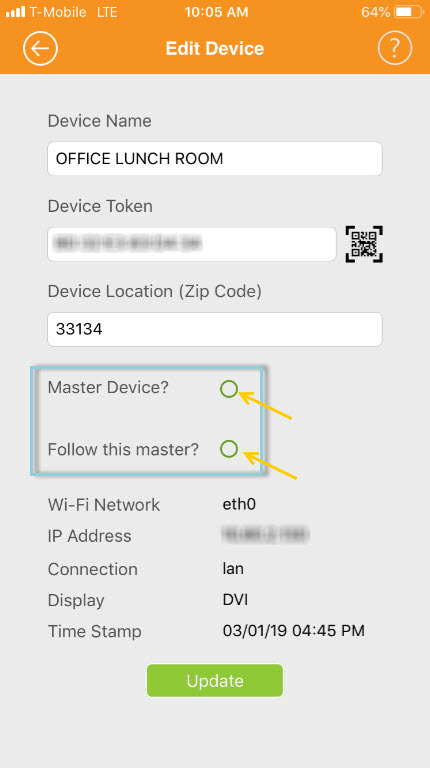 In other words, Master device comes into play only when you have more than one device in your account and that you want all devices in your account to “follow the master” device. 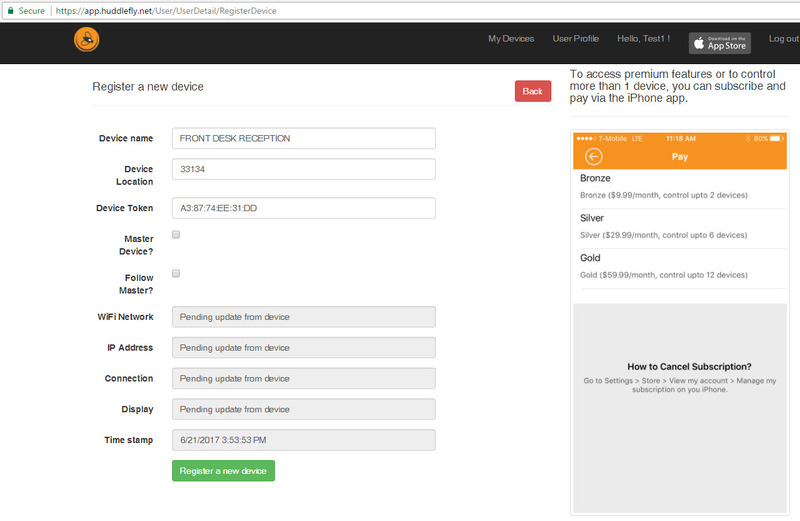 If you have only one device, this feature does not apply to you. 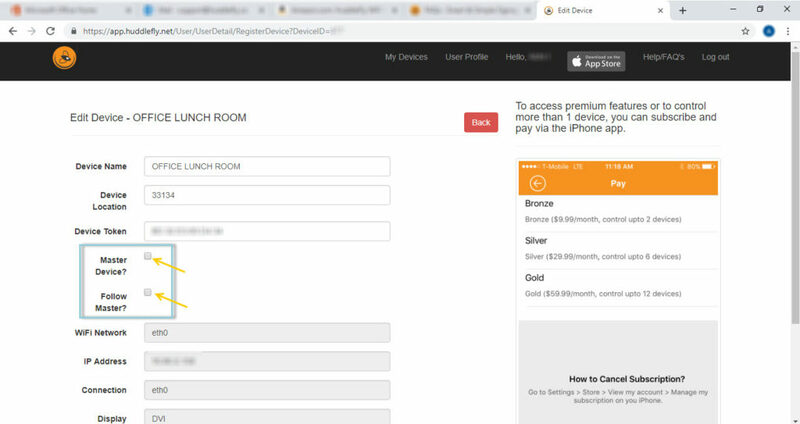 Note: You can configure HuddleFly either via iPhone app or on the website (huddlefly.co). There is no power button for HuddleFly, but rather a hard-reset button (factory reset) when pressed for 5 seconds. 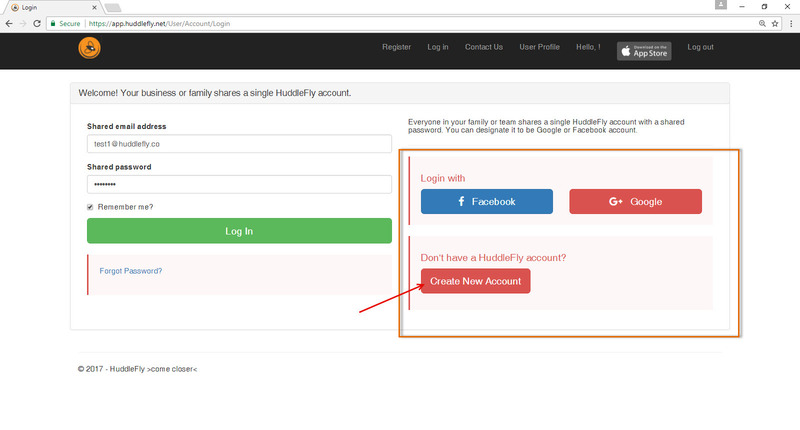 Create a HuddleFly account. 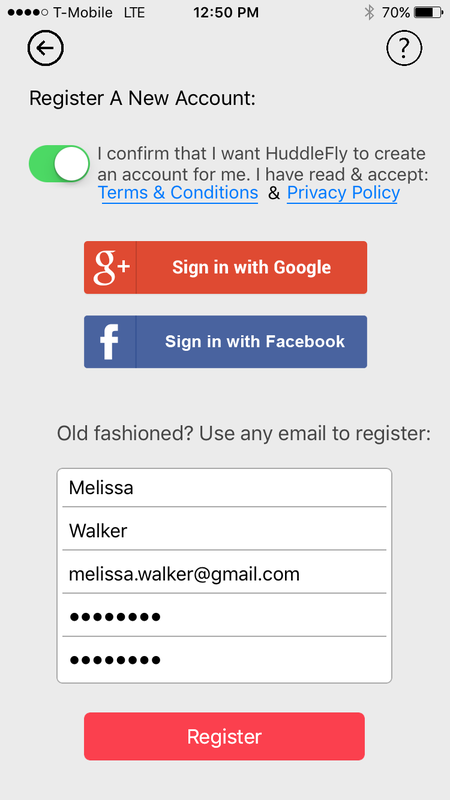 You can use any email or login with Google or Facebook. Remember this email since you will need it in step#8. 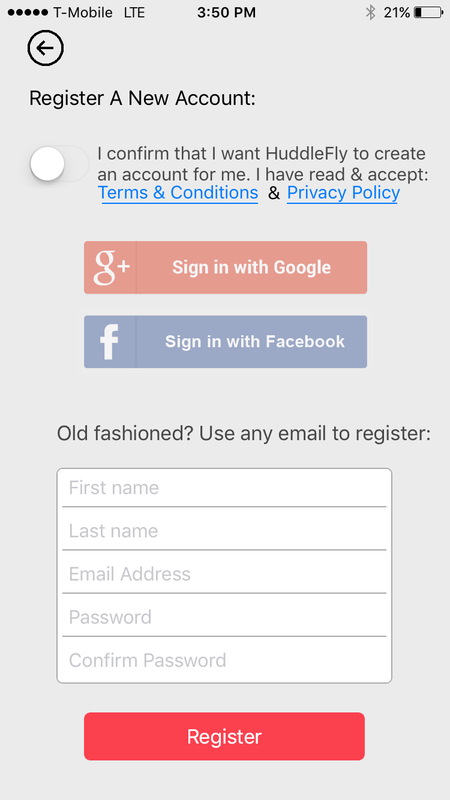 If you used an email to register, make sure you verify your account (Check SPAM folder for email from huddlefly.co). Connect HuddleFly device to any monitor/smart tv with an HDMI slot. Or if you have a monitor with a DVI slot, you can use a DVI-HDMI adapter. 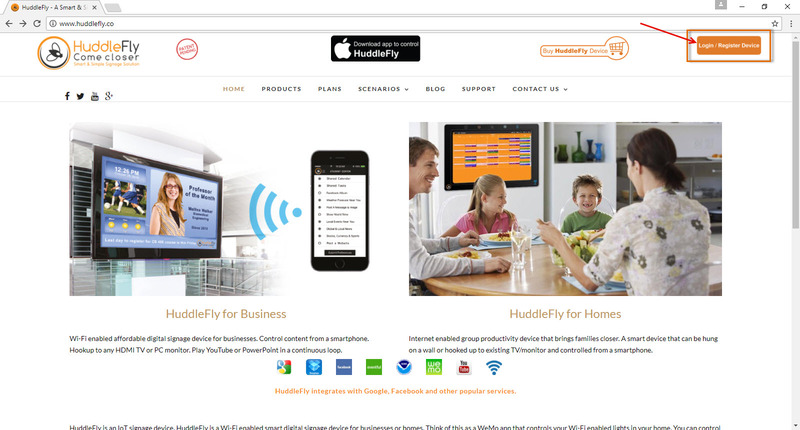 Turn ON your monitor & connect HuddleFly power. To power, you can either use the USB slots within your monitor/smart tv or the supplied power supply (HuddleFly works with 2V/1.5amps power supply). On your iPhone go to Settings->Wi-Fi and connect to “HuddleFly” hotspot. Choose “Wi-Fi Connection” or “LAN Connection” button. If you picked Wi-Fi Connection, choose “Wi-Fi Network” & click “Connect”. 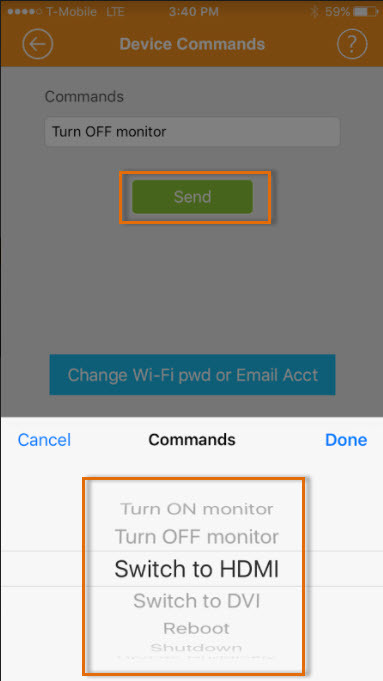 Enter your Wi-Fi password & HuddleFly account email that you created in step#1 & click “Submit” & follow the messages on the monitor. 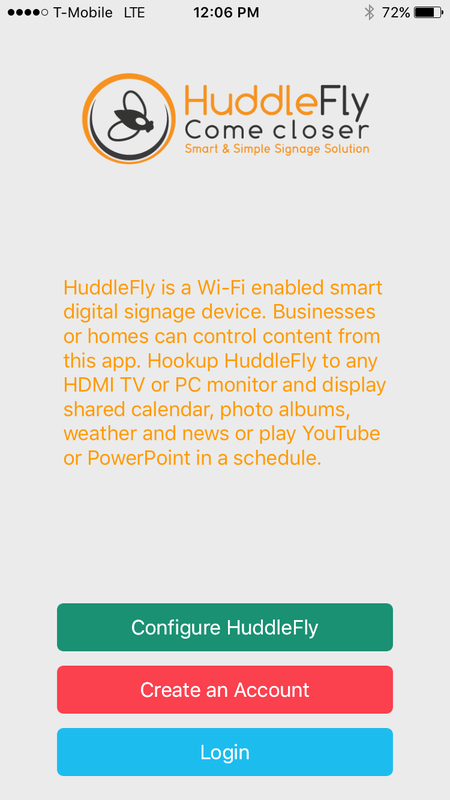 Once HuddleFly successfully connects to your Wi-Fi, it will display a random QR code & a short URL. Please Note: There is no power button for HuddleFly, but rather a hard-reset button (factory reset) when pressed for 5 seconds. 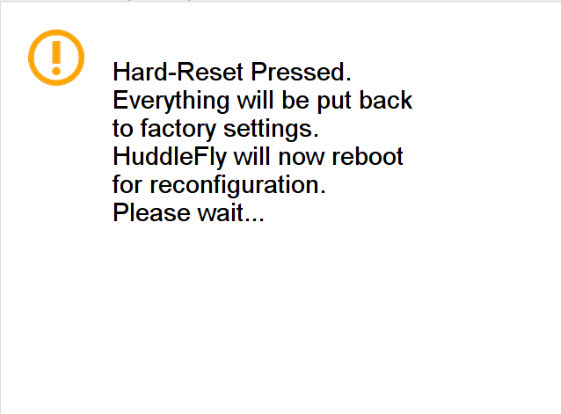 A hard reset, resets HuddleFly to original factory setting. This is useful to restore the device to reconfigure again. To reset HuddleFly simply press the reset button for 5 seconds and hold. You will see a message such as this one. HuddleFly device and display settings can be controlled here. Data refresh rates are set to 10 minutes by default. 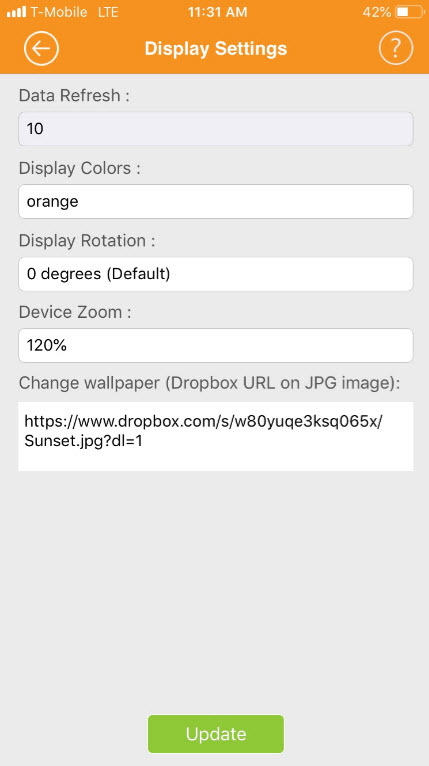 Here you can change display colors, display zoom, screen rotations & change the wallpaper of the device (Upload your own company logo). 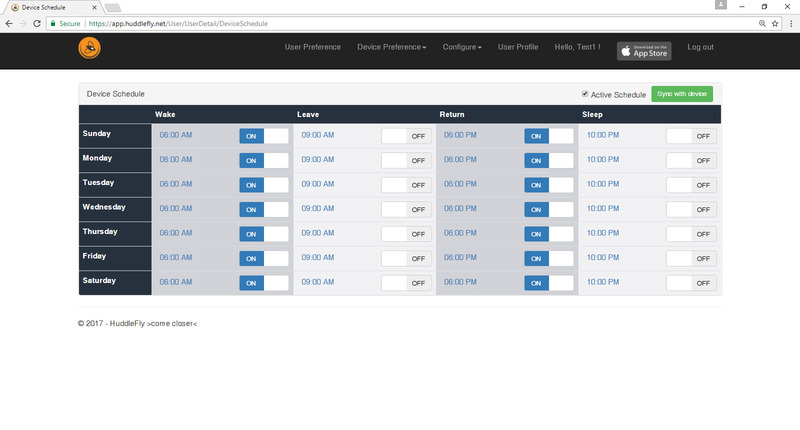 Using Device Schedule functionality, you can control HuddleFly’s monitor’s status. You can either turn ON or OFF the monitor based on a predetermined schedule for a week. 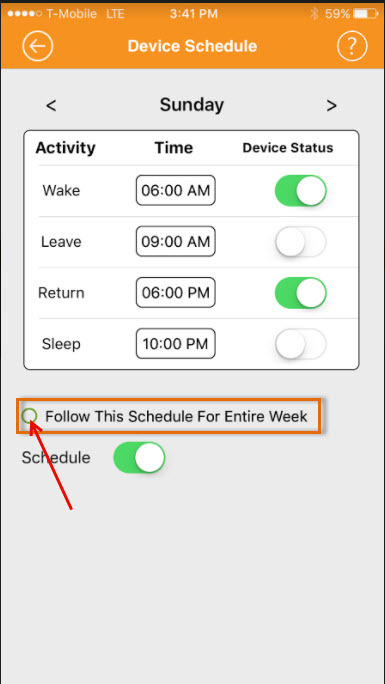 You can set the device schedule for a particular day as shown below and click the “Follow This Schedule For Entire Week” button. 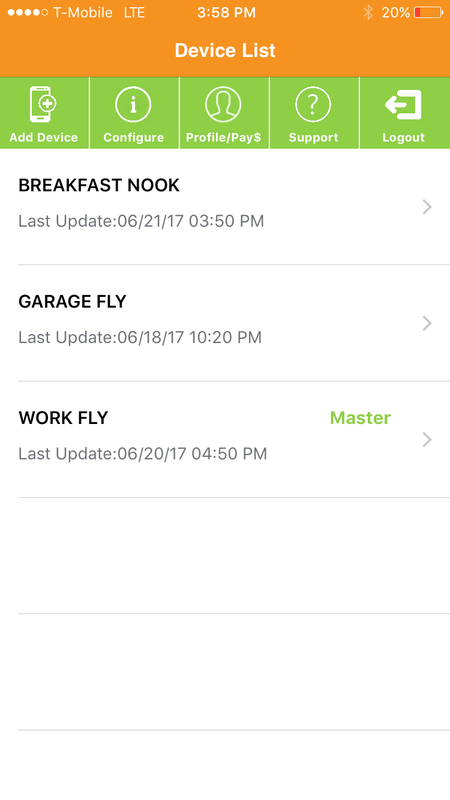 Device Health/Information function provides information about the health of the HuddleFly device. 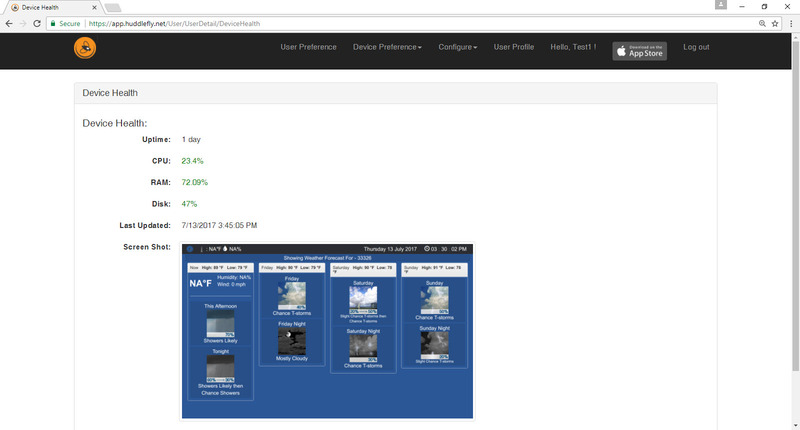 In-lieu of Device/Display Settings, you can control HuddleFly device further with the Device Commands function. 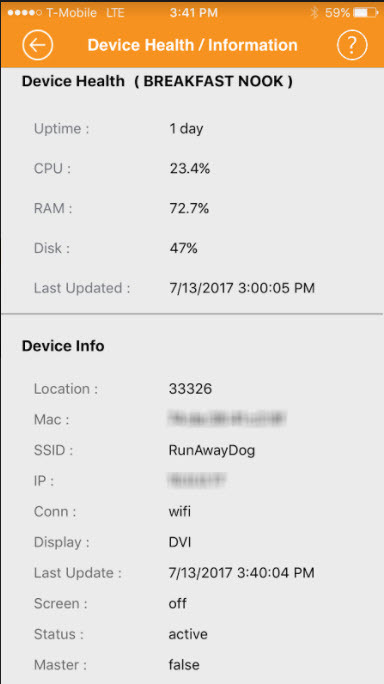 You can Turn ON/OFF the display monitor, Switch between HDMI/DMI monitor displays, Reboot HuddleFly or Change your Wi-Fi password or HuddleFly email account. Simply pick the selected option and click the “Send” button. 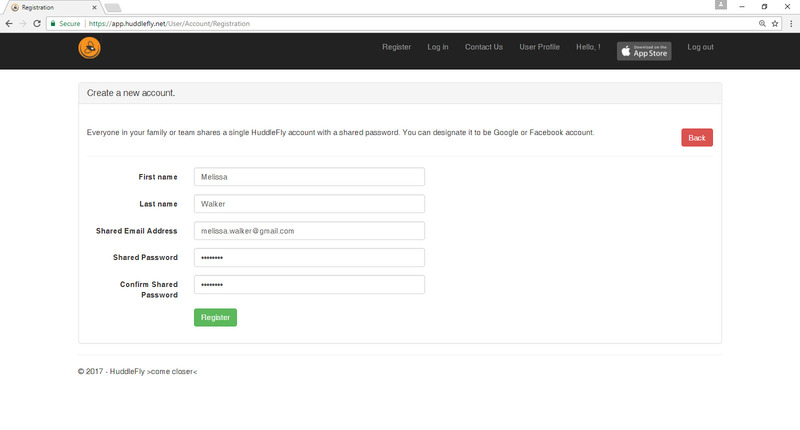 Creating a new account with HuddleFly is easy. If you are using the app, you can simply click on “Create an Account” and follow the prompt. If you have Google’s Gmail account or Facebook account, you can simply click on the Sign in with Google or Sign in with Facebook. 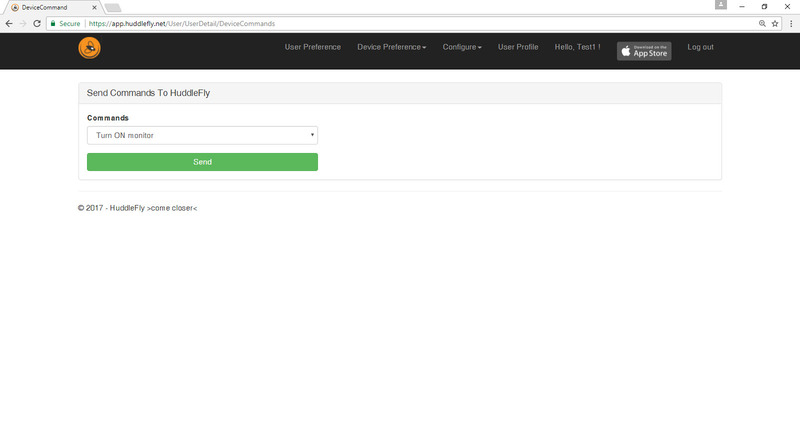 To configure HuddleFly device is simple and can be done within 5 minutes. 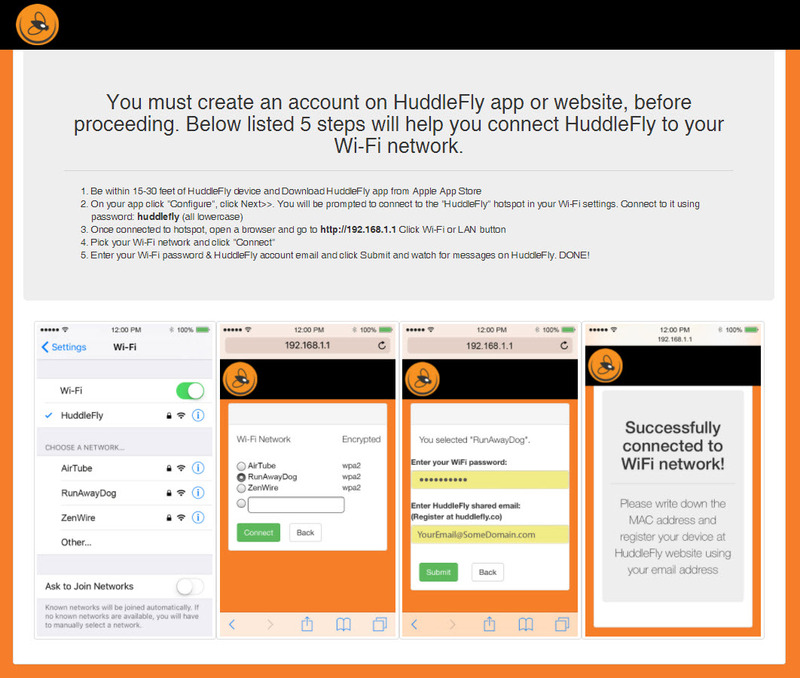 You can configure HuddleFly either via your iOS app from the Apple app store or just by going to http://huddlefly.co and clicking on “Login/Register Device” button on the top right hand corner. 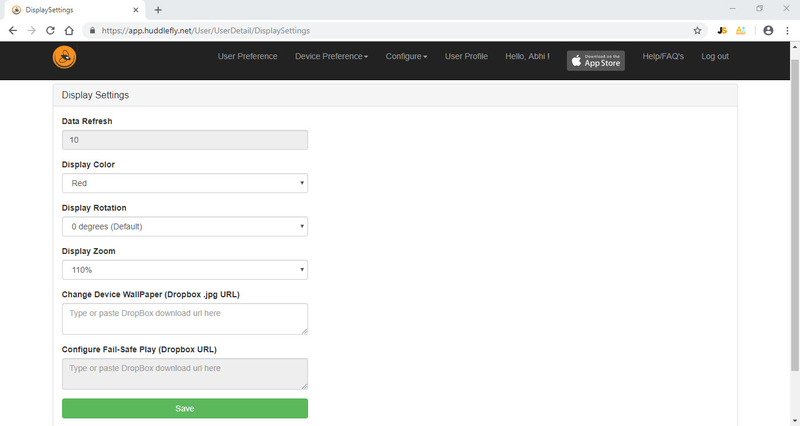 Click the green “Connect” button, enter your credentials for your WiFi network and your email address that you used when you registered in step#1, click the green “Submit” button. You will be prompted that submission was made. From that time on, you will need to watch for messages on the TV or the monitor that your HuddleFly is connected to.